For corporate I.T. directors and others involved in ensuring their company’s networks and data are safe from cyber-attacks, “closing that opportunity” means having a modern, enterprise-grade cybersecurity solution. Cybersecurity vendors have learned something from epidemiologists, who understand that, the quicker they can get good data on the current flu strains, the quicker they can prepare vaccines. The same holds true for cybersecurity systems: The earlier in the process data can be gathered on a new cybersecurity threat, the more quickly a solution can be rolled out. In order to have a powerful predictive cybersecurity solution, a vendor has to have a large installation base which automatically reports data on cybersecurity attacks back to the vendor so that the vendor can analyze the new “strain” and automatically harden client components (firewalls and endpoints) against any coming attacks from this new threat. Cyber-attacks can gain access to your network via many different entry-points, commonly called “attack vectors”. Two of the most common attack vectors are network servers and network-connected devices. Most corporate networks have a firewall, which can be a software solution that runs on a standard network server or an integrated software/hardware solution with a custom appliance that the firewall software runs on. Most businesses also require some type of cybersecurity solution for the devices that attach to their networks remotely. 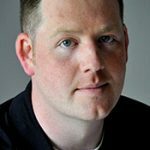 “Hardening the perimeter” by preventing malware attacks on the server and on remote devices is block and tackle stuff for I.T. security administrators, so it’s assumed that these pieces are in place. Modern enterprise cybersecurity solutions have advanced perimeter hardening with Next Generation Firewall and Next Generation Endpoint Security technologies. Are smart enough to be able to recognize potential but as-yet unidentified threats and guard against them. Even the best cybersecurity solutions can’t protect against every possible attack. If they could, we’d never see cyber-security breaches like the ones Target and Home Depot suffered in the last couple of years. Provide granular data on the activity of the attack from the time of the breach to the time it was neutralized. We’ve put together a free guide to help you as you research enterprise cyber-security solutions for your company. The guide lists solutions for each of the 3 categories from top security vendors. 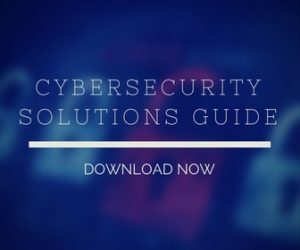 Click here to get your free copy of the Enterprise Cyber-Security Solutions Guide today! Frank is a systems engineer, specializing in network consulting for LAN, WAN, cybersecurity and data center/hyperconvergence. What is Advanced Malware Protection (AMP)? Check Our Content on These Categories! Stay up on cybersecurity, advances in data center tech, and what's happening in the world of enterprise IT. Straight from our in-house Cisco experts! Stay up on cybersecurity, advances in data center tech, Cloud, and what's happening in the world of enterprise IT. Straight from our in-house Cisco experts!